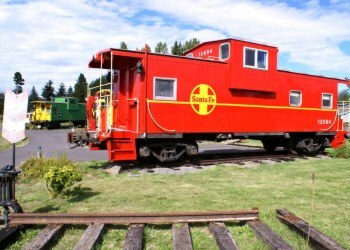 Experience the "Romance of the Rails" in your own private caboose! 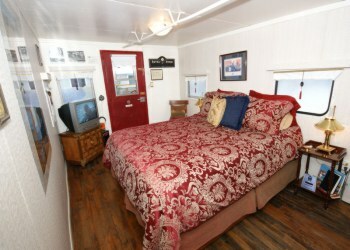 Each of the uniquely themed cars is set on its own track with most offering queen feather beds, gas fireplace, 2 person whirlpool tubs, robes, LCD TV/DVD with themed movies, mini fridge, hair dryer, in room coffee and free WIFI. In the morning stroll past the central duck pond to the stationhouse and board our private Zephyr dining car, "The Silver Eagle" for a breakfast event to remember. 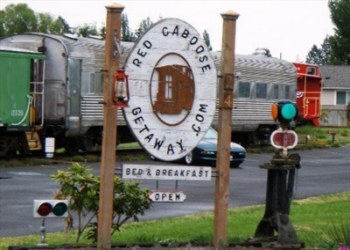 Equidistant from the Victorian Seaport of Port Townsend to the East and Port Angeles, gateway to the Olympic National Park and Pacific Coast beaches, to the West. Take a short ferry ride from Port Angeles and visit a foreign country- Canada! Located on the Olympic Discovery Trail and just minutes from Lavender Farms and John Wayne Marina and many area restaurants. As seen on Evening Magazine, Northwest Backroads, Channel 5 & also The Food Channel, Published in The London Times, New York Times, San Francisco Chronicle, Seattle PI Newspapers, Coastal Living Magazine and recommended in Fodors Guide.